Marriage is a most complex issue wherein two minds come together and decided to carry on for life. As we all know it is very difficult to predict the mind of the human being that too particularly it is most difficult to find what is in the mind of a girl. Men are from Mars and women are from Venus. Astrologically also there are lots of hurdles in marriage stating from 10 porutham or marriage compatibility, Manglik, Naga dosha, Punarphoo and so on. 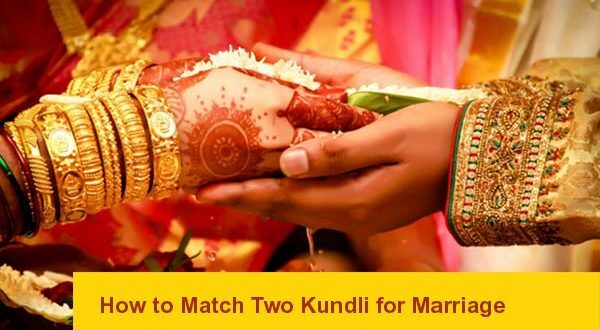 There is catch 22 situation regarding love marriage as many of them come to an astrologer for match compatibility etc after they decided to marry. When the astrologer says some negative aspects about their compatibility, the conflict starts. Now let us analyze in detail about all. It is only a glimpse of astrology connected with marriage as each one is a topic of its own and can be discussed elaborately. First we start with the 10 porutham. What are the 10 porutham and what it signifies? Rajju Proutham The stars are classified as different Rajjus in up and down mode. Life of husband, wife and their wealth. vedai Proutham Certain stars are opposite to each other Happy married life. We have crossed the first stage of match compatibility and will move to the next stage manglik dosha. 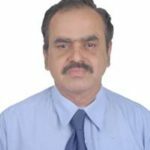 Manglik dosha is the most sort of compatibility between the boy’s and Girl’s horoscope and there are different school of thoughts in Manglik and I will be presenting here what I presume it to be acceptable to me. The Manglik dosha is said to be there if Mars occupy 2,4,7,8,12 houses from Lagna, Moon or Venus. We normally see for Lagna and Moon. There is some exception to this. If mars occupy its own sign i.e Aries, Scorpio and Capricorn where mars exalted. The rule if one person deemed to Mangal Dosha then the horoscope should be matched other person who also has Mangal dosha. There is exception on account of Bhava chart also which I do not want to touch at present. What is the impact of Manglik ? It creates disharmony in married life, delayed marriage even death of the spouse. In particular Second House Mars will make the native Poor evil minded and fourth house Mars create problems from friends, vehicles and general weakness, seventh house mars create problem from enemies, unnecessary worries, body weakness and sorrows, Eighth House Mars gives eye disease, bad luck, problems due to blood-related diseases and the 12th house mars gives laziness, restless body and eye diseases etc. What are the remedies: The remedies are match manglik horoscope with another manglik one so that it will nullify one another. Delayed marriage also one of the remedial factor for Manglik. The Naga Dosha will cause last marriage, delayed birth of child, Misunderstandings between couples, cancellation of marriage, separation etc. Now we are entering the most important aspect of marriage that is compatible horoscopes beyond what we discussed before. If a marriage should be successful then the following houses should be checked in the horoscope. 7th house is known as house of relationship. It does not stop with marriage but covers all relationship and partnership for business. If any way the 5th house is connected with 7th house love marriage is also possible since 5th house represents love and affection. 2nd house indicates family and relative. Since marriage is a relationship between two families second house gains more important for married life. 11th house is the house of desire and gains from society. There a strong 11th house is the base for gainful marriage. Here gainful mean love and affection between the couple. 12th house is the house of bed pleasure. The lord of the 2nd, 5th, 7th, and 11th house and its placement will make the marriage or break the marriage. We have discussed about the astrological impact of marriage making and breaking and some time people will ask me that they are in love and later when they check with astrologer he said they will have problems or separation on cards or they do not have 10 prouthams etc. My suggestion to them is only one, if your minds are bonded together, never see astrology go ahead and get married. If you combine both it will be create disharmony in life. 10 prouthems are important as astrology is behind the same, but the horoscope of the boy and girl should be given more importance as to placement of planets dasha systems etc for a successful married life. Besides astrology, prayers and worship of God will solve many problem in life thats way remedies are suggested by the astrologers. Last but not the least in Tamil there is saying “விதியை மதியால் வெல்லலாம்” which means you can conquer the fate through your intelligence. There is one more meaning also the fate is seen through Lagna centric and intelligence can be seen through Moon centric. Therefore, take into consideration of Moon centric planetary position also while predicting the future.